Just imagine – the soothing motion of the boat, the gentle tapping of your feet, the cold cocktail in your hand and the Henley sunshine beaming down. Let the swinging sound of the band wash over you. Yes you’re at a swing show, but this is not just any swing show – it’s a Silk Street Swing show…and it’s on a boat! 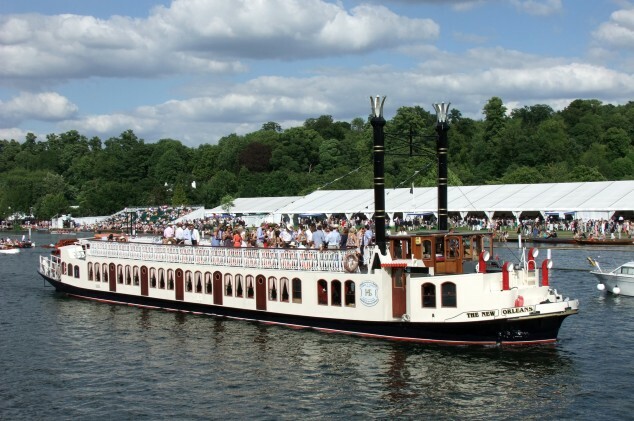 We proud to be longstanding partners of the magnificent Hobbs of Henley, a river cruise company providing boat tours of the Thames since back in 1870. 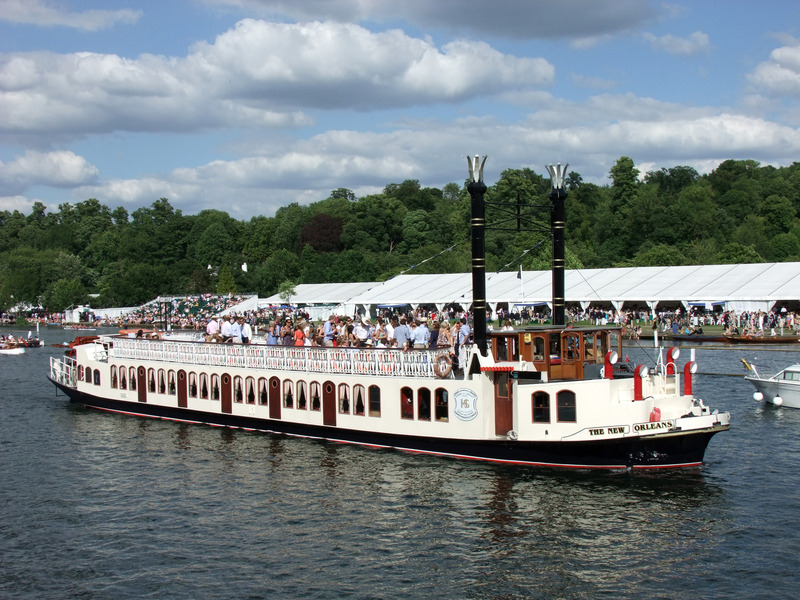 As part of our partnership, we are available to hire for private cruises and parties which you plan via Hobbs of Henley. Whether it’s a birthday, corporate party or just a straight up celebration you’re planning, we’d be happy to perform at your boat party. During your private swing cruise we’ll perform many classic jazz and swing numbers across the ages, from 1920s originals to re-worked renditions of modern classics. Our soulful sounds can be heard both by passers-by on the riverbank and by attending guests throughout your dinner. If the weather is nice, you can also sit out on the top deck to enjoy your favourite Swing and Dixieland tunes. When booking with Hobbs of Henley and Silk Street Swing, there’s no better boat to choose than the aptly named ‘New Orleans’. The vessel is a real sight – a magnificent Mississippi sternwheeler with tall twin smoke stacks and paddle wheel. 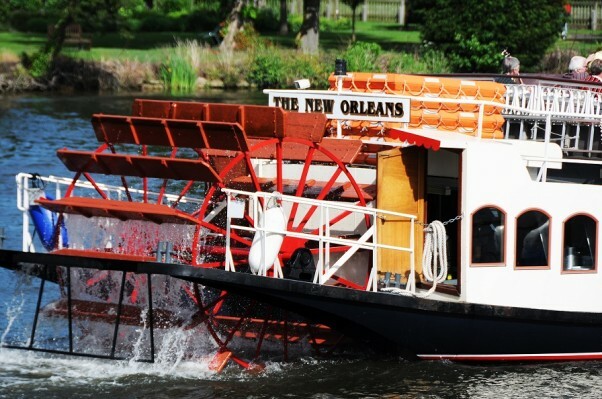 What’s more, the New Orleans has two decks – a fully enclosed elegant saloon with stylish cocktail bar, and an open upper deck for viewing the stunning scenery by day or dancing under the stars at night. 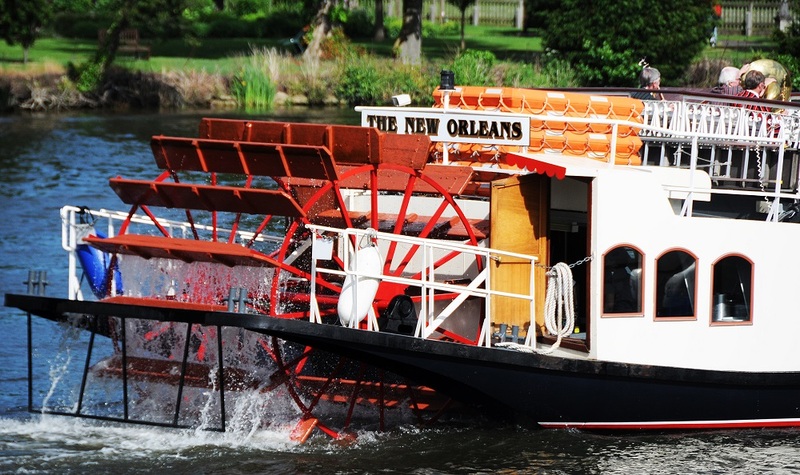 Of course, there are other boats available – the Waterman and the Hibernia for starters – though we always find the New Orleans makes a particularly good pairing with our American swing style. Not planning a cruise but want to experience our performance? Perfect! We’re pleased to perform at the famous Henley Regatta in conjunction with Hobbs of Henley. For a taste of the experience, keep an eye on the banks of the river during the Regatta – we’ll be performing for the masses. If you’re planning a private cruise with Hobbs of Henley, we’d be delighted to perform for you and your guests. We recently received a glowing recommendation from one of these cruises which we wanted to share with you below. We hope to see you soon! Contact either Hobbs of Henley or get in contact directly with us so we can get your show on the road (or water! ).